Five years ago, I stopped eating meat (I’ll go more into the reasons why in a future blog post!). For about a year or so, I was strictly vegan and also cut out eggs and dairy. After some time, I relaxed a bit and decided that if my pasta marinara at a restaurant came out with a sprinkle of parmesan on it, or if we were celebrating a birthday and someone baked a cake with an egg, I wasn’t going to send it back or decline a piece of cake (cake is my weakness!). 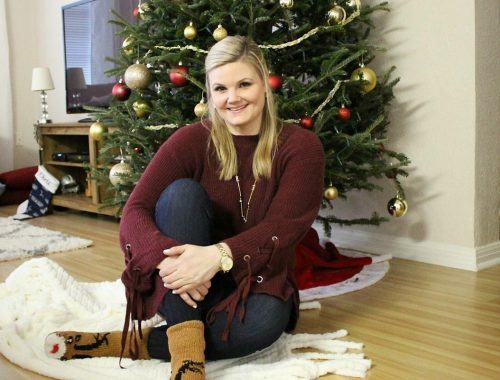 But I follow a 100% vegan diet at home, and get very excited when I’m able to eat vegan while I’m out. I wanted to share my favorite places here with you all, whether you’re a local or just in town visiting Disney World! 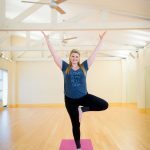 Orlando happens to have an amazing selection of plant-based eateries- so many choices for delicious, homemade goodness, that it was hard to narrow down my favorite vegan restaurants. 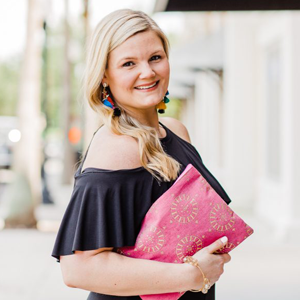 So I chose the places I frequent the most (that are close to downtown Orlando, where I live), and compiled them here for you. 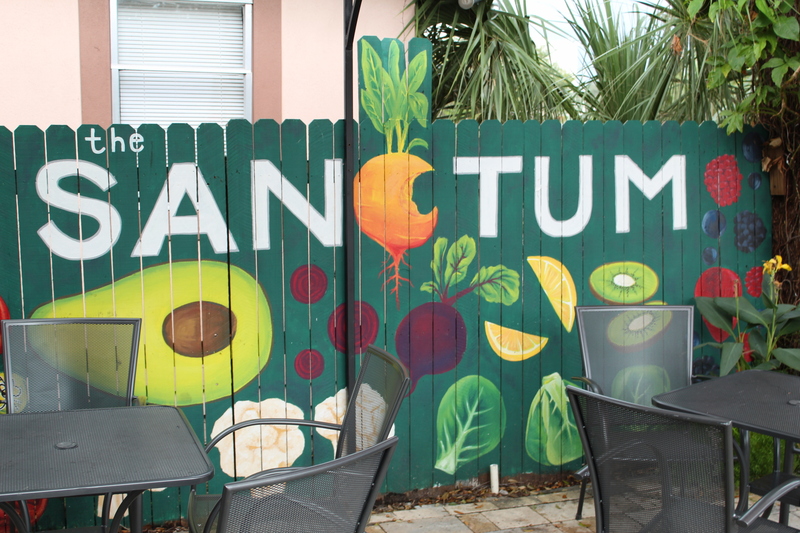 If you are a local, or visiting Orlando, and you want to try out the best vegan or vegetarian food, try these places out! I’ve also listed some other places at the bottom that I may not frequent as much, but are still pretty amazing. Dixie Dharma is my go-to place on my way home from teaching yoga on Sunday mornings. 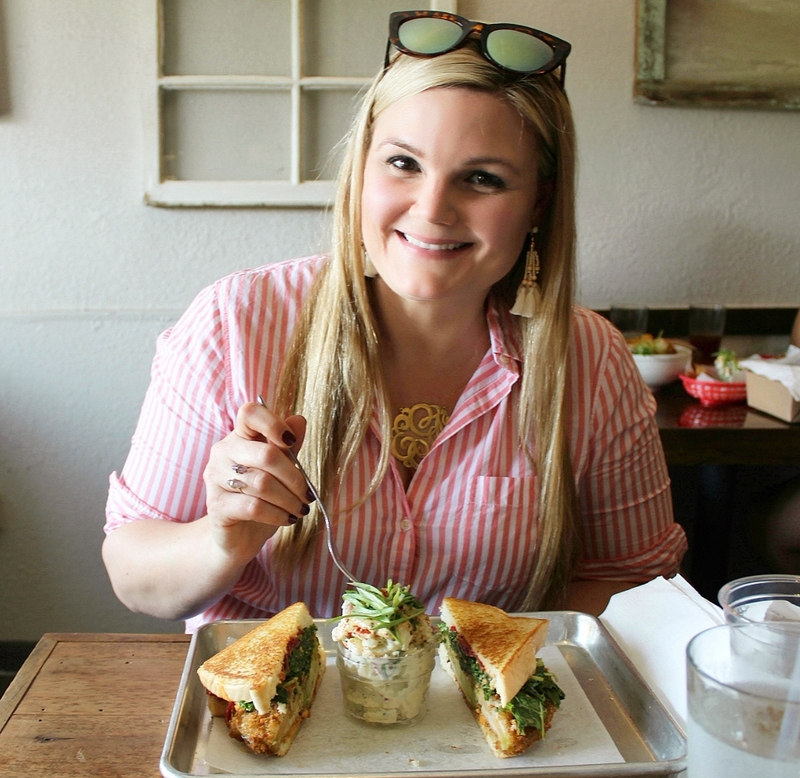 Sometimes I wake up on Sunday mornings and get excited about picking up either a Fried Green Tomato sandwich or an Heirloom TLT sandwich (tomato, lettuce, tempeh bacon) with a side of Tater Salad or Baked Mac n’ Cheese after yoga. It is SO good. They also have a few other sandwiches, tacos, salads, and hot “dawgs.” Everything is 100% vegan here, but if you aren’t vegan, you will still love it. Just writing about it is making me crave it! They also serve craft beers and wine. 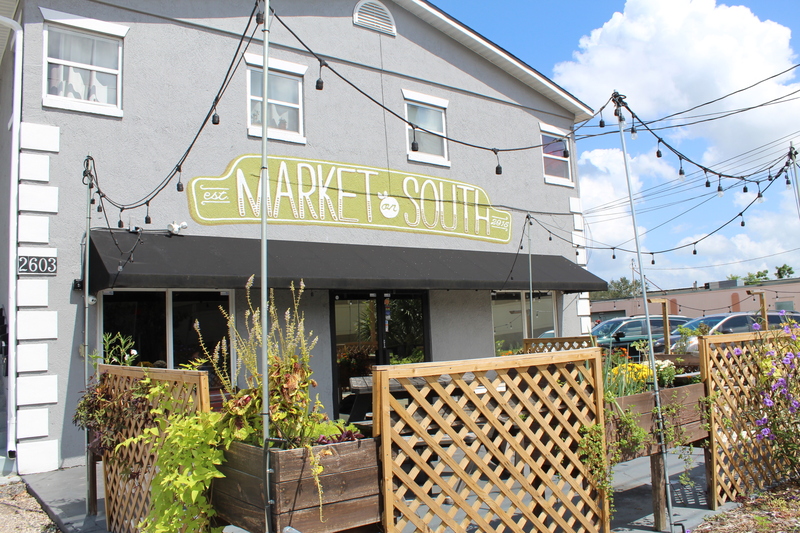 Dixie Dharma is located in Market at South, which is a shared counter service restaurant that also houses the vegan bakery Valhalla, which is next on my list! While technically not a restaurant, I had to include Valhalla and Valkyrie on this list. 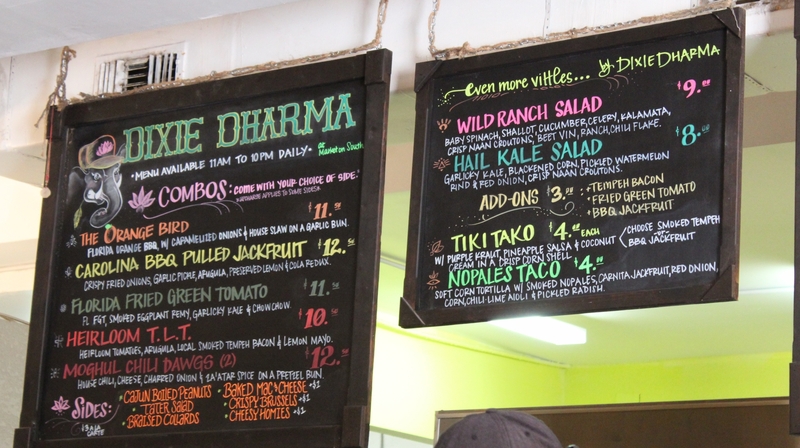 Valhalla is housed in the same space with Dixie Dharma at Market on South. They are famous for their huge square doughnuts, but also have cakes, cupcakes, bars, and multiple other bakery items. 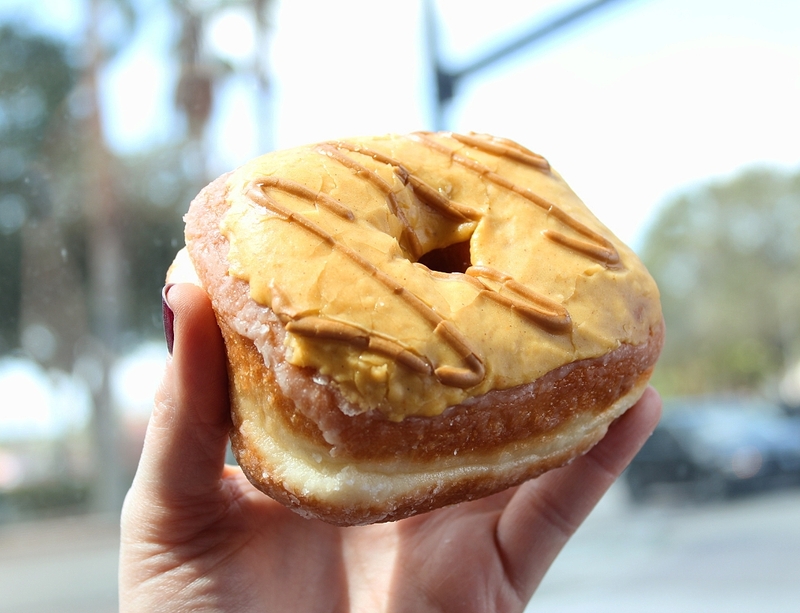 They are 100% vegan, and so popular that they opened a second location. Valkyrie is located near the University of Central Florida on the east side, and serves mainly just the doughnuts, but does have the most fantastic looking ice cream and doughnut combos I’ve ever seen! 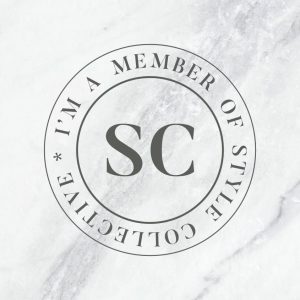 Please go check both locations out- they are simply amazing! 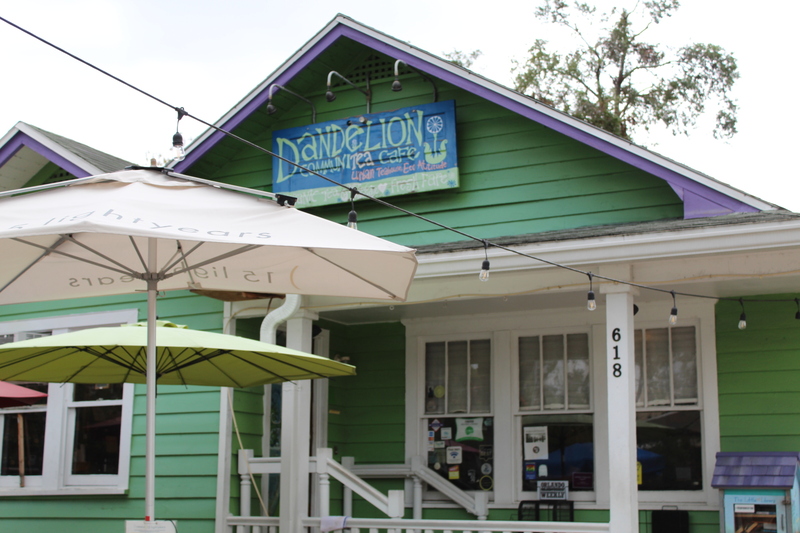 Dandelion Communitea Cafe has been a long-time favorite for plant-based Orlandoans. 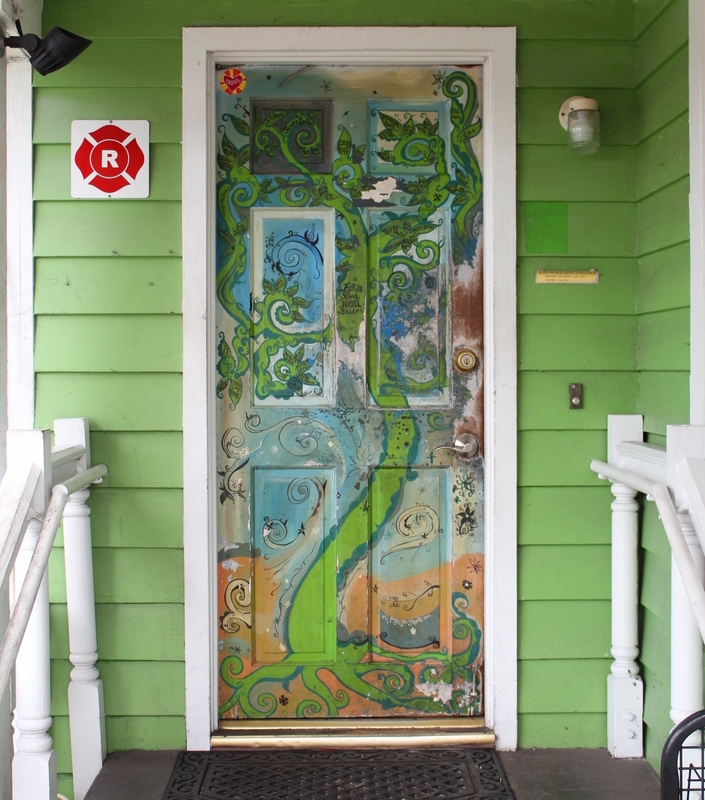 It is located in an eccentric little green house down a side-street in the downtown area. It is also counter service, and there’s three rooms with either tables or couches to choose from, as well as outdoor patio seating. 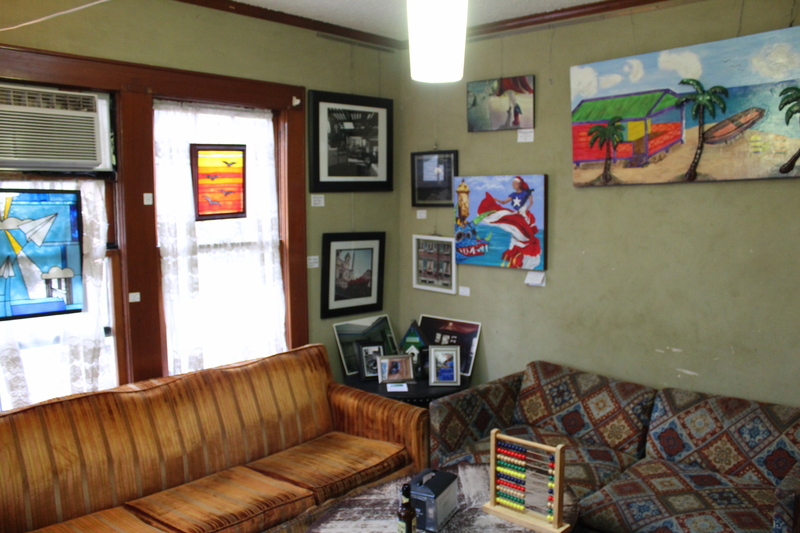 Local artwork for sale fills the wallspace. Outside of the downright adorableness of this place, their food is just simply delicious. 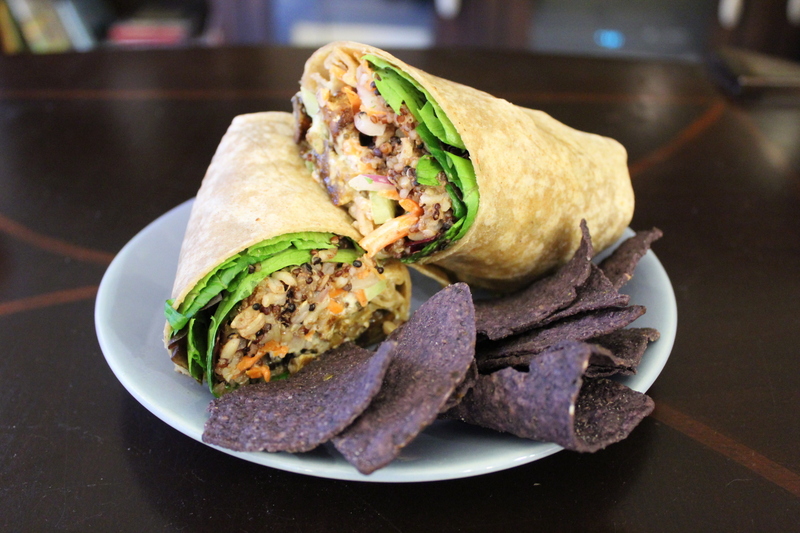 They have a variety of wraps, salads, and appetizers, and a full selection of teas. My favorite dish is the Buffalo 66 wrap with a side of chips and salsa. It’s a great place for some wholesome, tasty food. 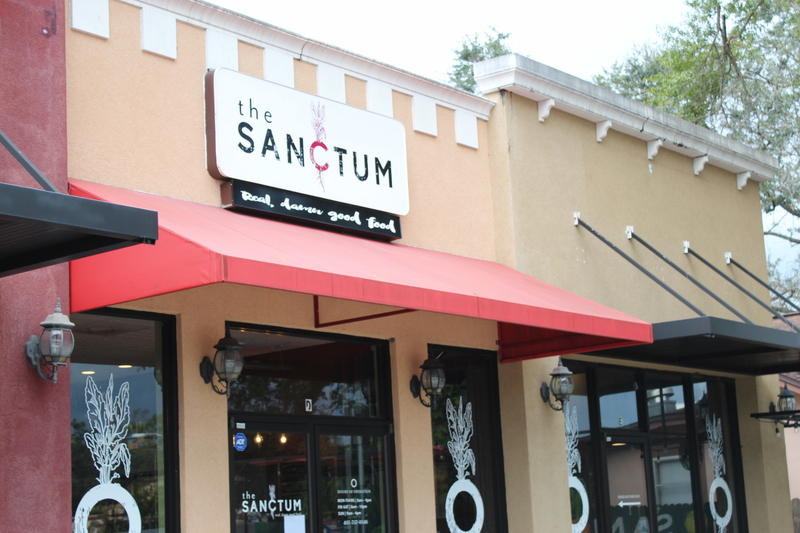 The Sanctum is one of the newer plant-based restaurants near downtown Orlando, and was opened by one of my first yoga teachers and her husband, Chelsie and Jamie Savage. Their logo states, “Real, Damn Good Food,” and that is spot on! 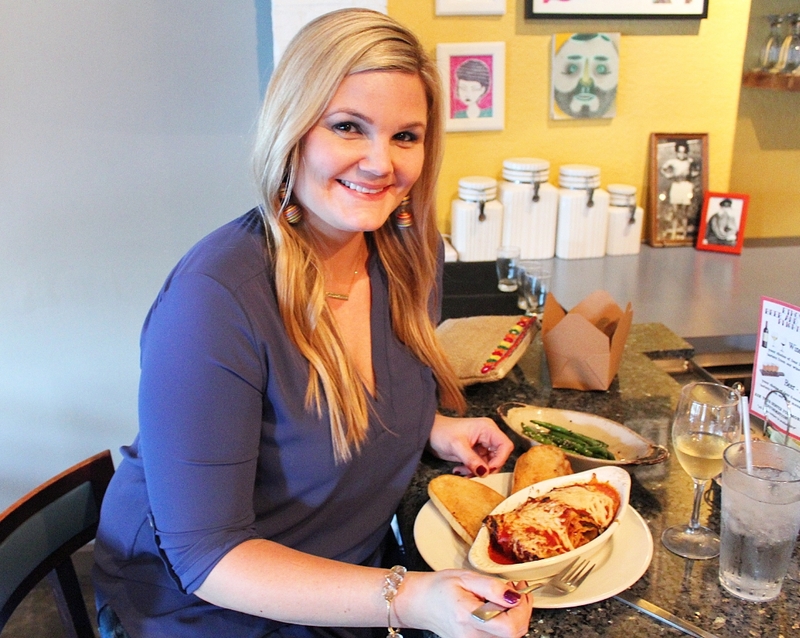 The restaurant was created from Chelsie’s love of homemade, plant-based, healthy food. I can’t help but feel like I’m doing something great for myself when I eat their food. And I don’t only love it because I know the owner and she is super sweet; it truly is delicious, wholesome food. They also serve some awesome coffee drinks and smoothies, as well as alcohol. The restaurant space is adorable as well! 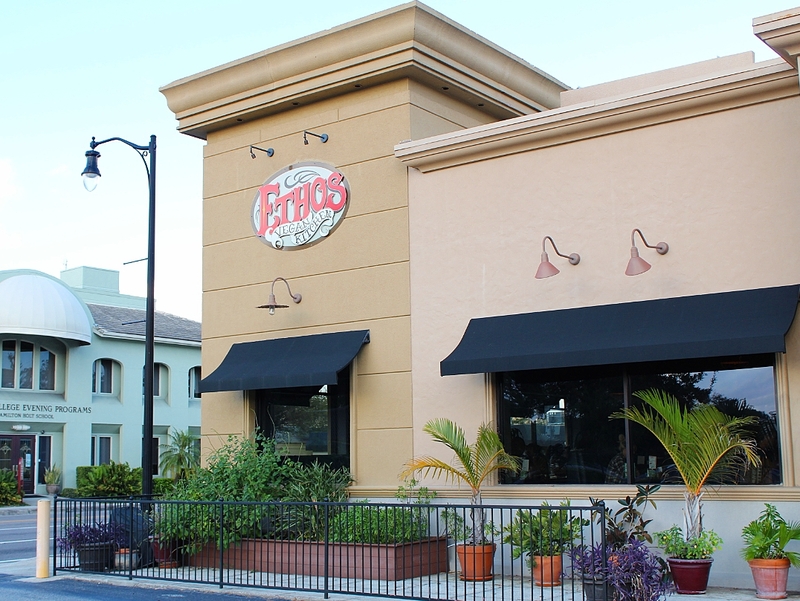 Ethos is the first 100% vegan restaurant I tried once I stopped eating meat. In all honestly, since I was new to a plant-based diet and had my own judgments about vegans, I was expecting Ethos to be kinda hippie and a whole lot of salad. Boy, was I wrong! 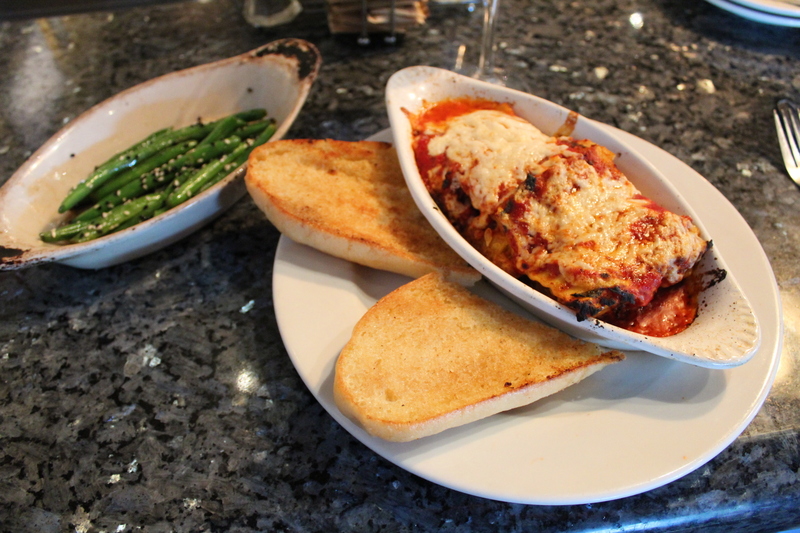 They have an expansive menu of sandwiches, wraps, burgers, pastas, pizza, and salads too. If you are new to eating a veg diet, or want to take a meat-eater to dinner, this is the place to go. Their food is all based off of meat dishes, but made vegan. The food is rich and delicious and could sway even the most die-hard meat-eater. Both my boyfriend, who will never stop eating meat, and my grandmother, who is pretty old-school when it comes to needing either chicken or beef with each meal, enjoyed Ethos. It is a full service table restaurant with a large bar. Also make sure to take some of their cookies to go- they are so good! They set up this cart right outside the bars in downtown Orlando each weekend late night, and the line is just as long as the regular hot dog cart! Delicious! Cute little cafe that serves vegetarian and vegan options of wraps and coffee drinks. 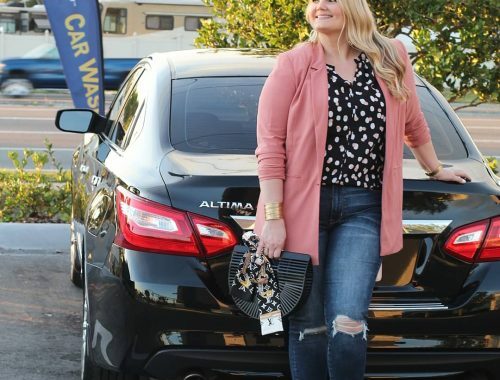 A local favorite! A teahouse with a full menu of vegetarian and vegan salads, wraps, sandwiches, and desserts, as well as a full tea menu. Also a super cute spot! 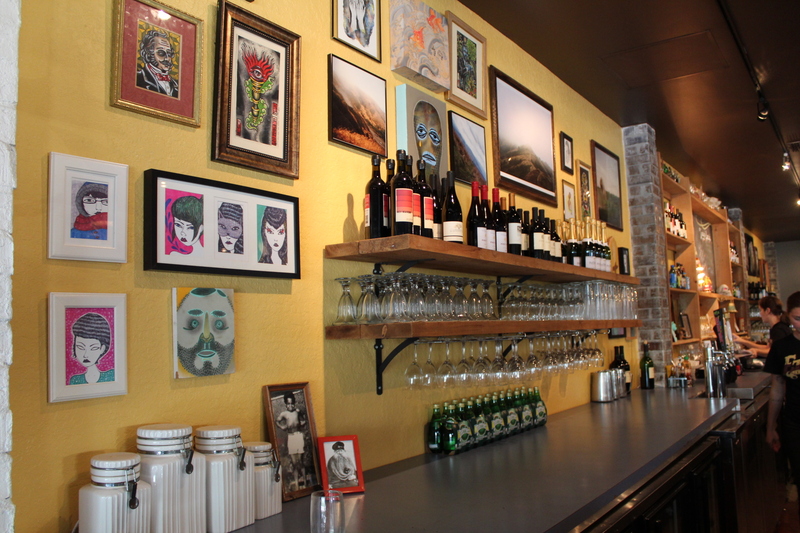 Oblivion Taproom (5101 E Colonial Dr, Orlando, FL 32803): Although not technically a vegan restaurant, this hole-in-the-wall full-service restaurant and bar has multiple choices of vegan dishes, including a veggie burger, vegan chicken strips, and pulled jackfruit. Great casual spot for both meat and non-meat eaters. Make sure to get the tater tots- yum! 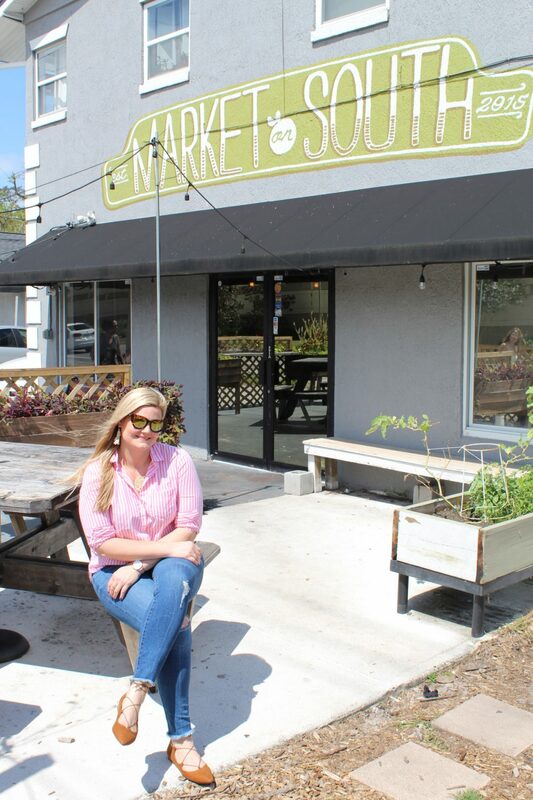 There’s many more yummy veg places in the area, but these are my favorites! I hope you get a chance to visit some of these local restaurants. 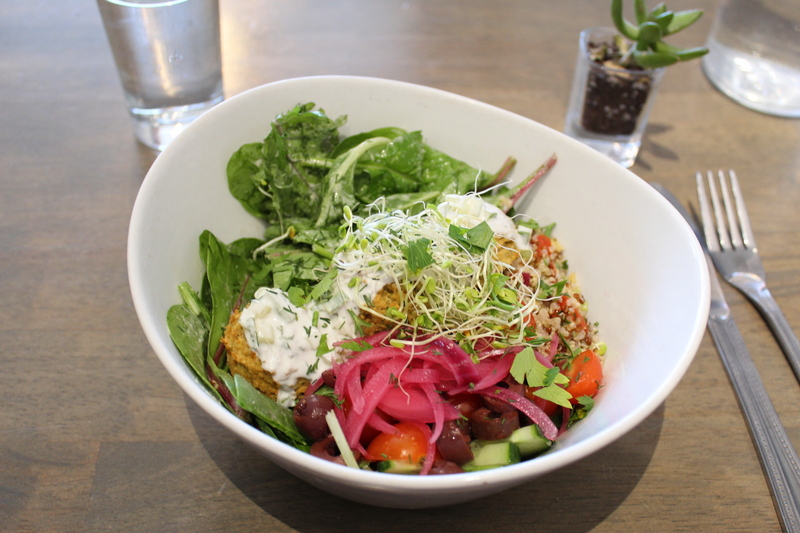 What are some of your favorite veg-friendly restaurants where you live? We’ll be visiting both Dallas/Ft. Worth and NYC in the next couple months- any suggestions for good veggie places there? No idea there were so many places! I have to admit that was the best fried green tomato sandwich I have ever eaten! 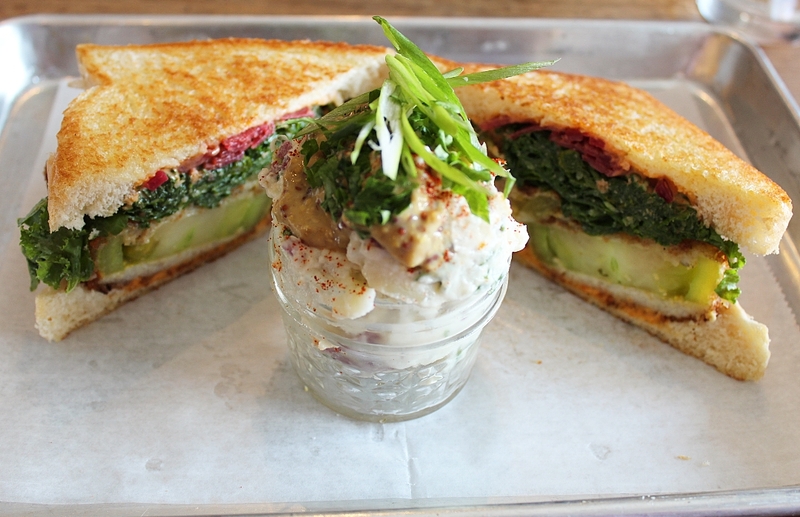 Omg, the fried green tomato sandwich is the best! And this list is only a fraction of veg places locally- too many to list here!